AlphaPuff Promo Code: Get 10% off your entire Alpha Puff order! AlphaPuff is an all-in-one smoking kit that you can take on the go. Plus, get 10% off here when you use the AlphaPuff promo code HAPPY100. 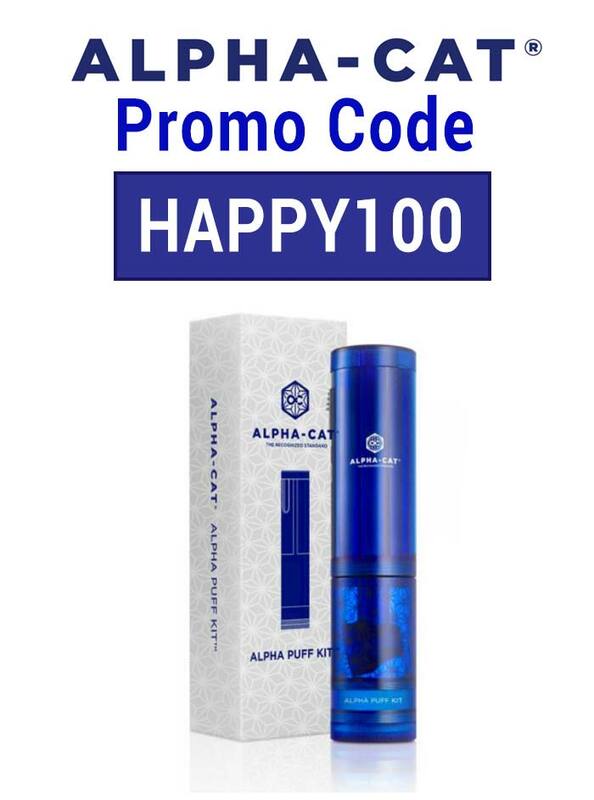 Be sure to use the promo code HAPPY100 to get 10% off your AlphaPuff order. The AlphaPuff on its own is $59, so this Alphapuff promo code gets you a nifty $5.90 off. And you can get more off if you purchase more than one! Overall it’s a very cool device. Check out this full-fledged AlphaPuff review if you want more details about how it works! We’ve checked out a few other unique weed accessories products, and all of them have their merits. If you’re looking for a cool weed accessories subscription, check out the Daily High Club. Each month you get a box full of smoking products. You can choose the size of your box—it can be as small as a box full of papers, and as big as having a ton of full-sized products in it each time. It’s really good fun. See all our favorites here.